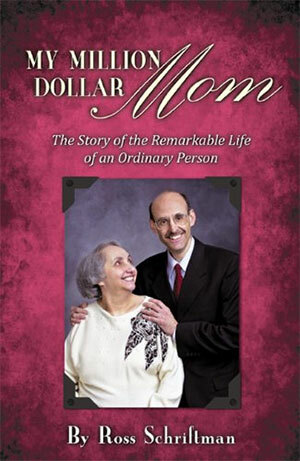 My Million Dollar Mom is an uplifting true story of a lifetime of sacrifice and caring between a mother, Shirley and her son Ross. Love of family, politics, community, patriotism, teaching, animals, nature, music and service to others was Shirley Schriftman; a member of the greatest generation. When Alzheimer's strikes this loving Mother their roles reverse and Ross, with the help of care giver Nora, take Shirley to the end of her life with dignity and joy.